I have partnered with Warner Bros. Pictures to shout out the opening of The LEGO NINJAGO Movie in theaters starting September 22. This action packed adventure, staring Dave Franco, Justin Theroux, Fred Armisen, Abbi Jacobson, Olivia Munn, Kumail Nanjiani, Michael Peña, Zach Woods, and the legendary Jackie Chan is sure to become your new favorite LEGO movie! If your house is overflowing with Legos you will want to check out how to make a lego table! 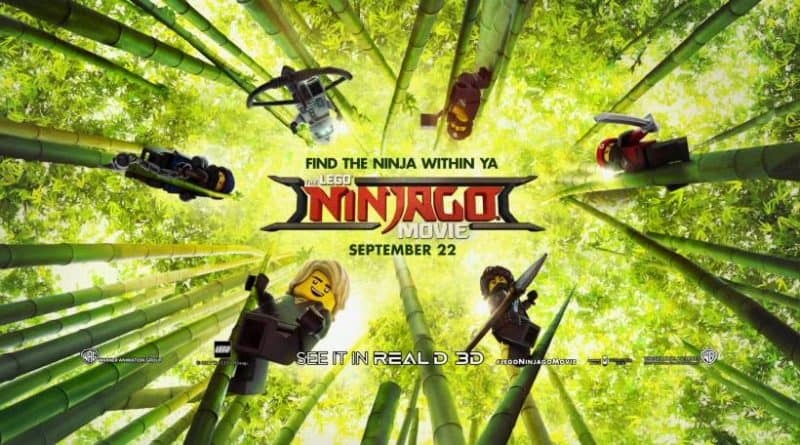 In this big-screen NINJAGO adventure, the battle for NINJAGO City calls to action young Master Builder Lloyd, aka the Green Ninja, along with his friends, who are all secret ninja warriors. Led by Master Wu, as wise-cracking as he is wise, they must defeat evil warlord Garmadon, The Worst Guy Ever, who also happens to be Lloyd’s dad (OH NO). This epic father son showdown will test this fierce but undisciplined team of modern-day ninjas who must learn to check their egos and pull together to unleash their inner power of Spinjitzu. 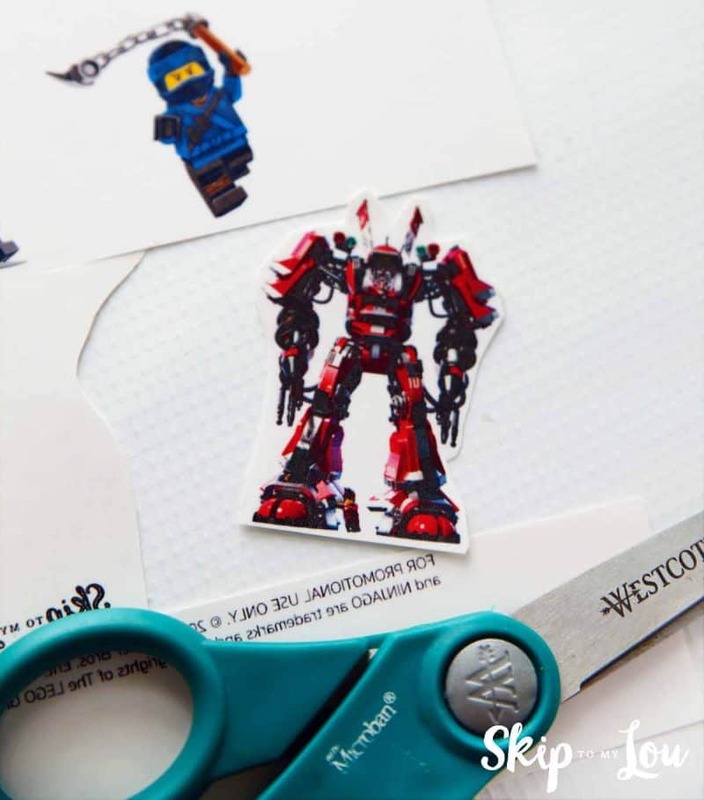 Channel your favorite LEGO NINJAGO Movie character with these printable DIY Tattoos! 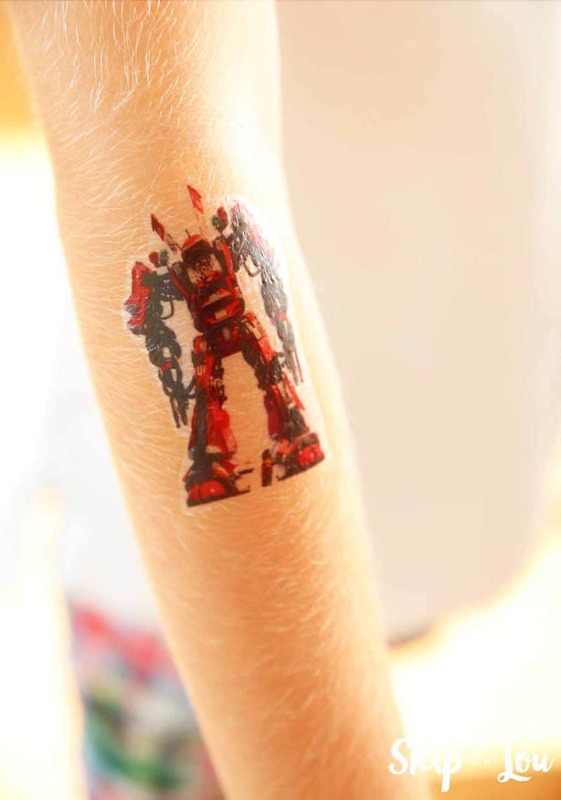 You won’t believe how easy it is to make you own tattoos! 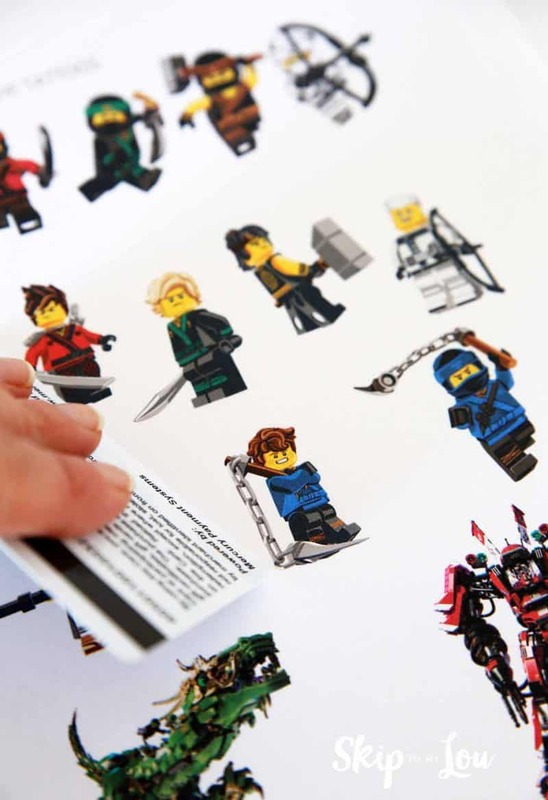 Wouldn’t these be fun at a LEGO NINJAGO Movie party!?! 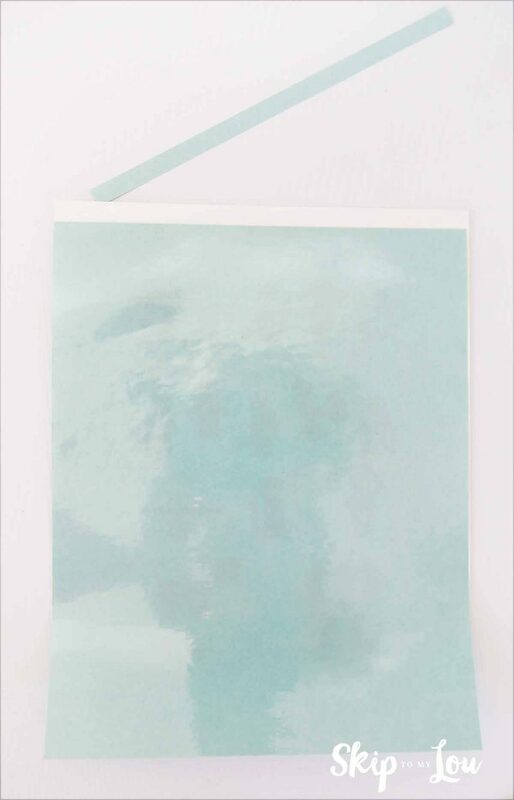 Purchase tattoo paper, like Silhouette brand (my favorite). You can find it at your local craft store or online. 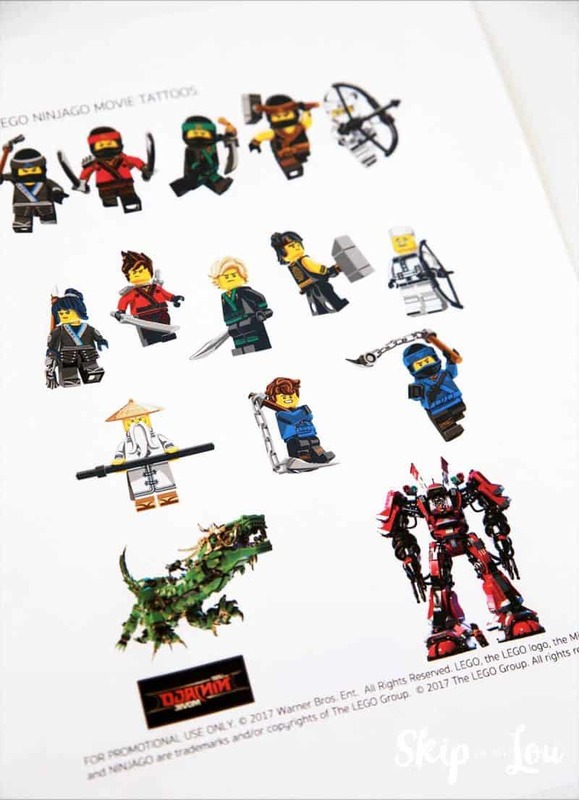 Download the Printable LEGO Ninjago Movie Tattoos, they will be reversed. Print onto the tattoo paper according to manufacturer instructions. 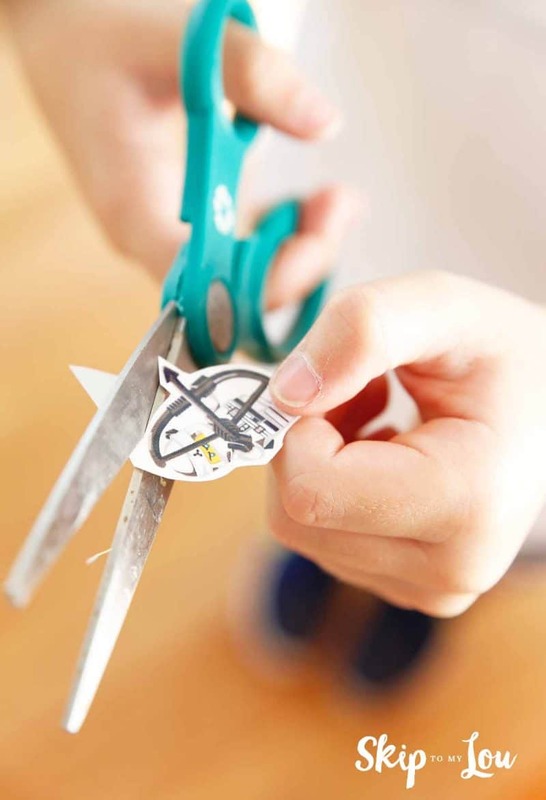 Remove the strip of protective paper at the edge of the clear plastic film. 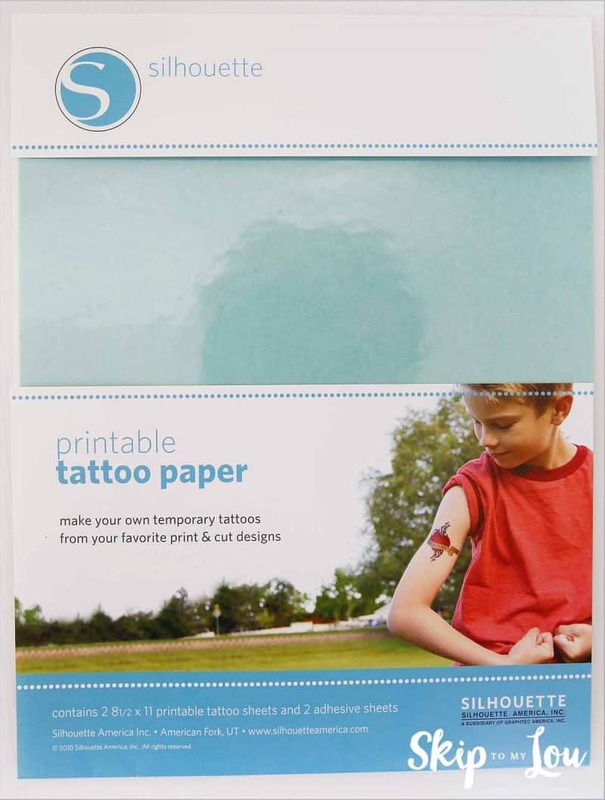 Line up the sticky edge onto the edge of printed tattoo paper. Slowly remove the rest of the green protective paper. Working from the center, use a credit card to smooth out any air bubbles. Be sure to cut close to the design. 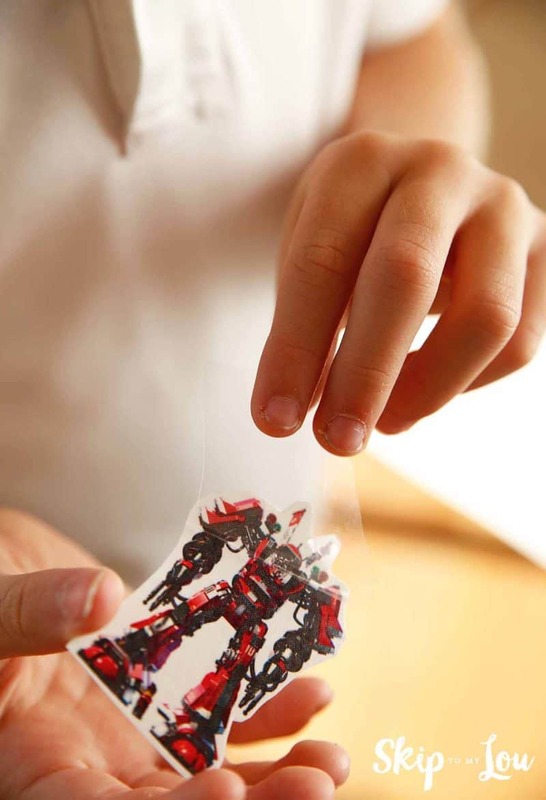 Remove the clear protective covering from the tattoo. Place tattoo on the skin. 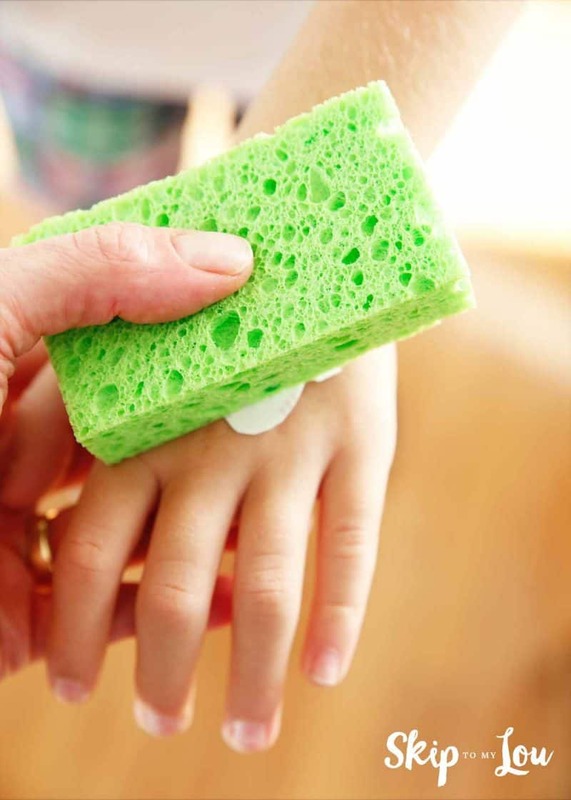 Use a sponge to dampen the paper. 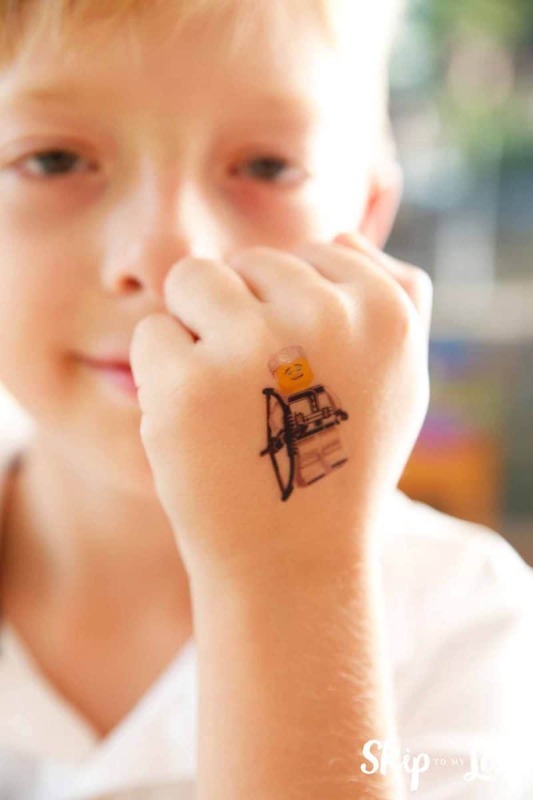 Remove paper and ta-dah you have the coolest The LEGO NINJAGO Movie tattoo!